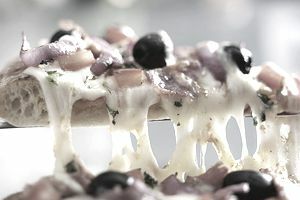 When that pizza craving kicks in, it can be appealing to pick up a pizza or order one instead of making one at home. To ensure that the cost of your pizza dinner doesn't break the bank, consider seeking popular online and printable pizza coupons from national pizza restaurants. Many of the coupons are location-specific, meaning that the coupon codes may not work in all regions or at all restaurants. You may be required to enter your zip code or choose a location before being able to benefit from the bargans and deals. Want More Ways to Save on Pizza? Note: Pizza coupons are constantly changing, with new codes being added and older codes ending without notice. If a coupon code does not work, try another one! Select any two or more: Medium two-topping pizza, Oven Baked Sandwich, Stuffed Cheesy Bread, eight-piece Chicken, Salad, Pasta in a Dish or select dessert items. All Locations. Limited time offer. Simply log into the app or the website and click on this deal. 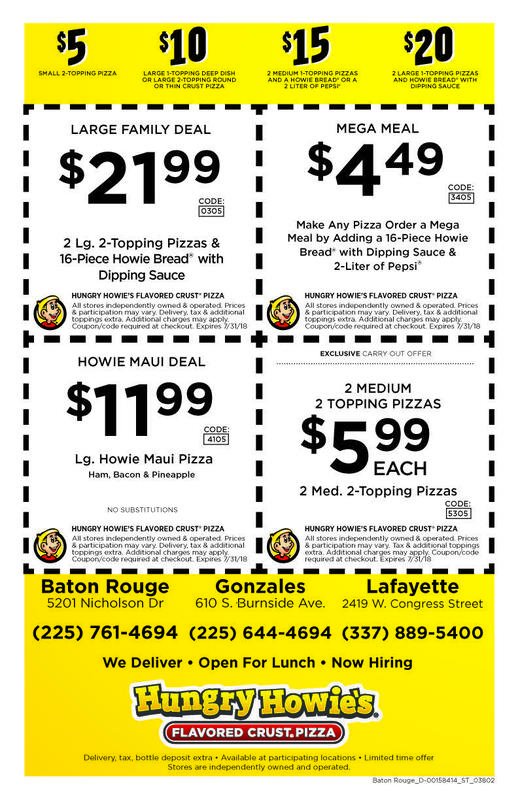 Receive one of the company's specialty pizzas for $12.99 each. Receive a large specialty pizza for $14.99. Receive two medium one-topping pizzas, 16 pieces of Parmesan Bread Bites, an eight piece CinnaStix and a two-liter of Coke for $19.99. Get a free large one-topping pizza with any $12.00 order at participating locations. Get two large pizzas with one topping each, plus an order of Howie Bread for $20. Get two medium pizzas with up to one topping each, plus an order of Howie Bread, for $15. When ordering from the regular menu, receive 20 percent off of your order by clicking the "20 Percent Off" deal on the Papa John's Specials page. Get a large two-topping pizza for $7.99, carry-out only. Add any two-liter soda to your order for $2.00. Get a large one-topping pizza, a bread side and a two-liter soda for $12.99. Pay $19.99 for two medium size one-topping pizzas, breadsticks and the Ultimate Hershey's Chocolate Chip Cookie. For $7.99, get a large two-topping pizza. Carry-out only. Get two medium pizzas with two toppings each for just $5.99 per pizza. See All Pizza Hut's Coupon and Deals. Do You Have a Thirst for Ozarka Bottled Water Coupons? So Do We!